Two days ago, Apple announced three new iPhones to be released this fall. 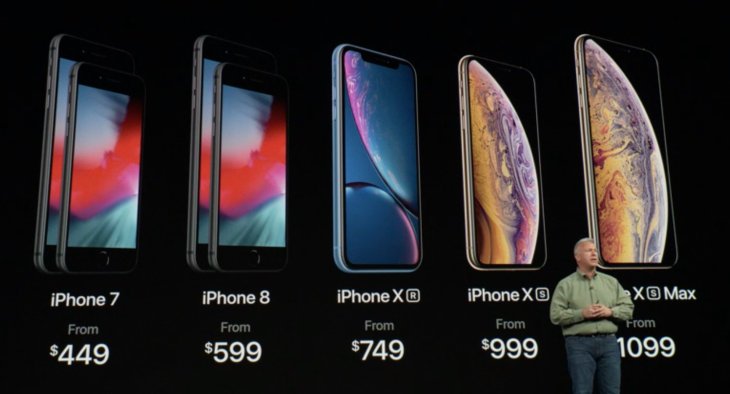 Preorders for two of the models, the iPhone XS and the iPhone XS Max, began this morning. However, all iPhone XS Max configurations and some standard iPhone XS configurations have already sold out, according to Apple’s website. The official release date for the iPhone XS and XS Max is September 21st. However, many buyers who waited just a few of hours to preorder won’t see their new phones for an additional week at least. “Earliest delivery on the 28th having ordered at around 10am EST,” reported one user on Reddit. The 5.8 inch iPhone XS starts at $999 for the 64GB version. The larger 6.5 inch iPhone XS Max starts at $1,099 for the 64GB version. Both models are also offered in 256GB and 512GB variations, and the color options for both models include silver, space gray, and gold. This is a step up from last year’s iPhone X, which was capped at 256GB for storage and which did not feature a gold option. The third iPhone model that Apple announced this week is the iPhone XR, which will serve as a new “lower-end” model for buyers hoping to avoid the minimum $1,000 price tag of the iPhone XS models. The iPhone XR features a new ‘Liquid Retina Display,’ as opposed to Apple’s more premium OLED display found on the XS line, and will be available in blue, yellow, red, black, white and coral. Preorders for the iPhone XR begin on October 19, followed by an October 26 release date. Of course, new iPhones were not the only big announcement from Apple this week. The tech giant also unveiled redesigned Apple Watch models, labeled ‘Series 4.’ They come in 40mm and 44mm variations and are also available today for preorder, starting at $399. You can expect more info and updates on Apple’s latest gear, as we get closer to launch, right here on Consumer Press. Let us know down below in the comments if you managed to snag one of the new iPhones before it sold out, or if you’re planning to order one soon.